Can you spot the owl? 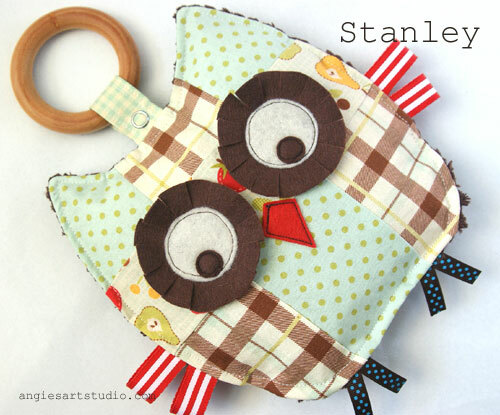 A recent addition to my patchwork owl family – this is a medium sized owl pillow / plush toy (10″x10″). 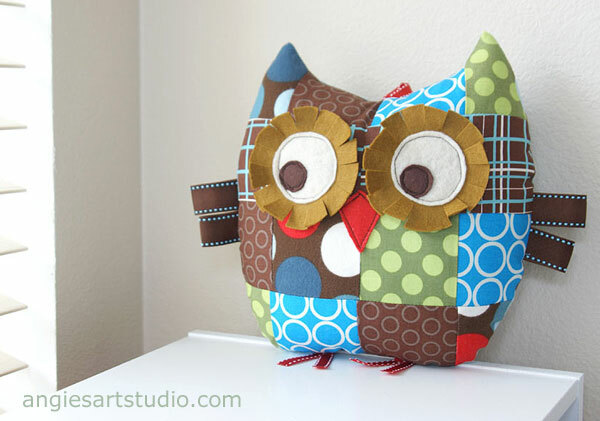 Spotty owl pillow can be purchased here. 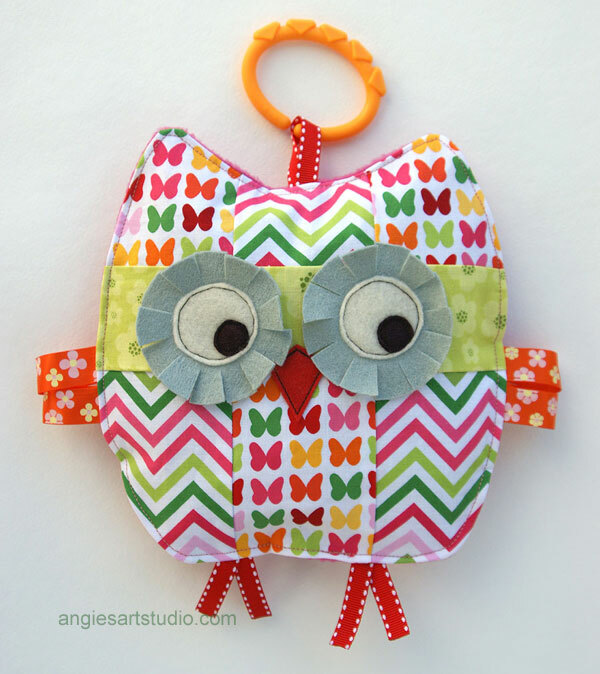 How sweet is this pretty in pink patchwork owl? It’s still one of my favourites. My gorgeous niece with her ‘Hoot Hoot’. This owl flew all the way from the US to Australia to be with its owner and I’m very glad that it arrived unscathed. 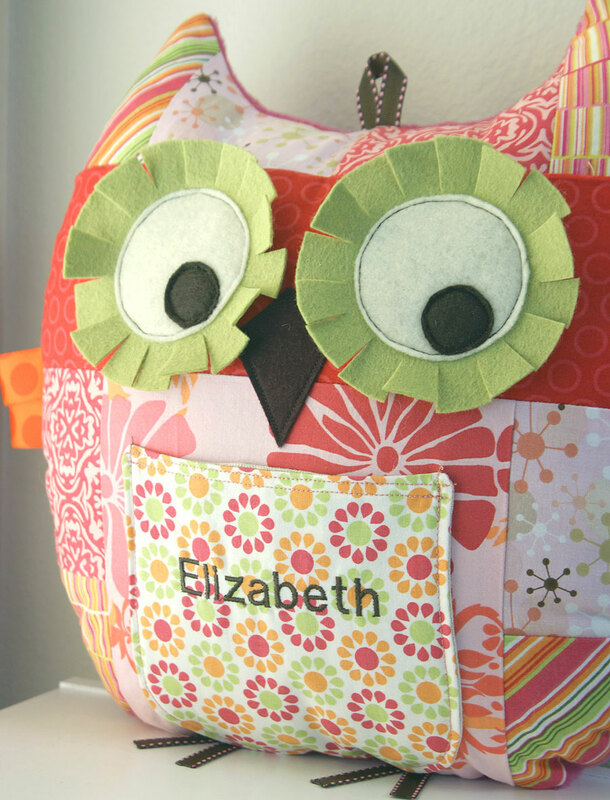 This medium size (10″x10″) pretty in pink owl pillow / plush toy can be purchased here and is also now available as a large owl (14″x14″) that has a front pocket which can be personalized with a name! 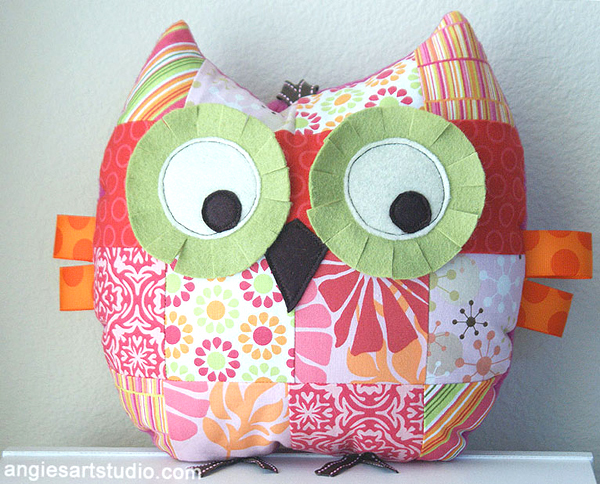 Large (14″ x 14″) Pretty in Pink Patchwork owl pillow. 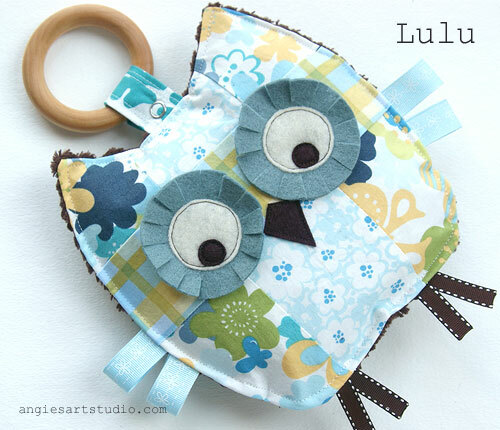 The added front pocket is particularly good for stashing little treasures and can also be used as a tooth fairy pillow! 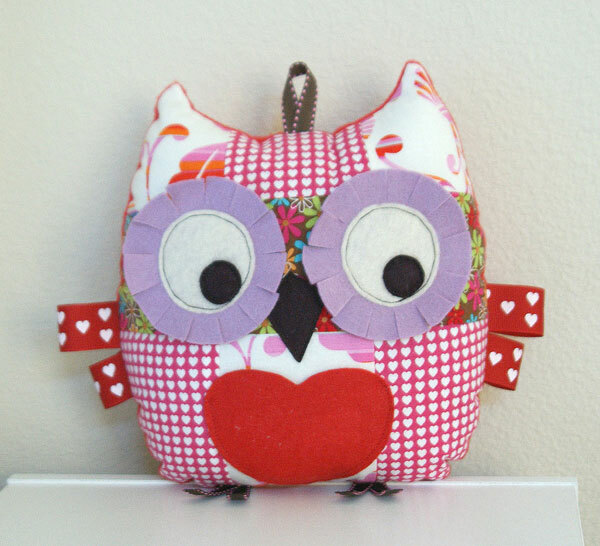 I made this valentine owl especially for my honey for our wedding anniversary and turned the heart into a pocket so that I could put little love notes in there :) You can purchase this owl here. Orange, green and gray. A colour combination that surprisingly works well together. Lilac and gray, a very pleasing mix of colours. 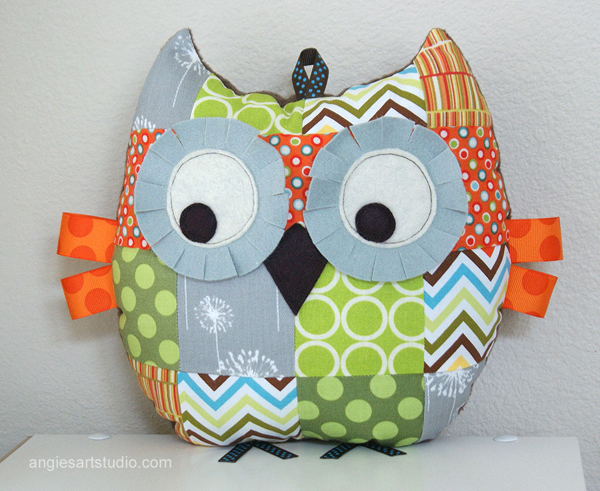 This lovely large owl pillow can be purchased here. Similar, but different. 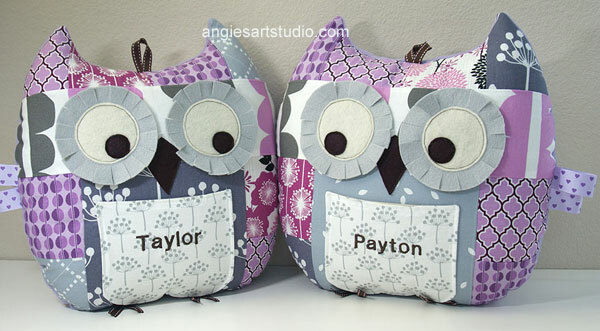 I’ve also had special requests to make owls for twins to match the colour scheme of their new bedroom! 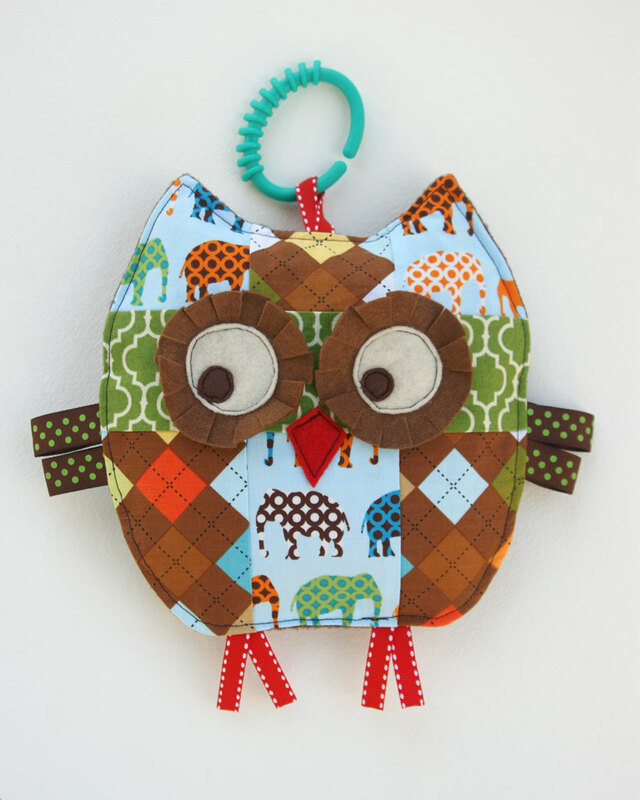 Rupert is a flamboyant owl and loves to strut his stuff! 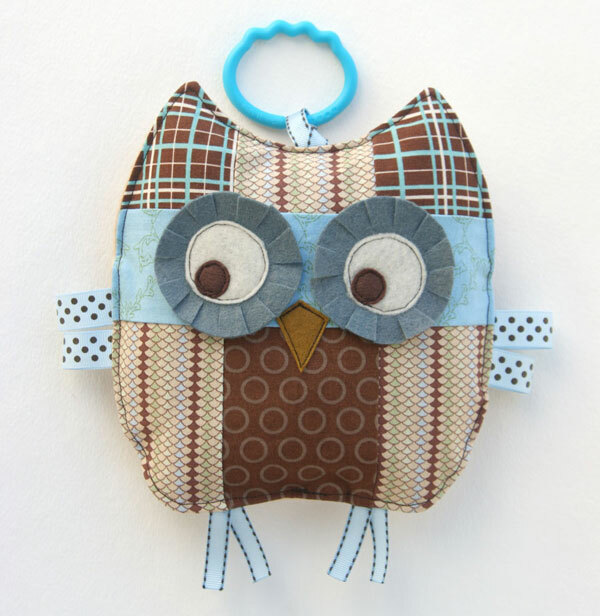 He is the most popular owl by far in terms of my crinkle toys and can be purchased here. 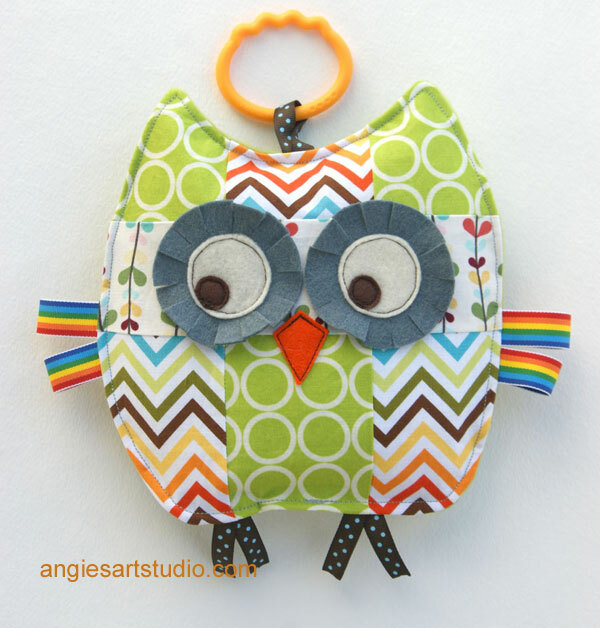 Penelope is a such a pretty owl – I like her a lot , maybe because I love butterflies and found very cute and colourful fabric to make her with. She can be purchased here. Here is Penelope the owl with another Penelope, the beautiful baby girl of This Rookie Wife. Just look at that cheeky grin, ahhhh, makes my heart sing! Henry likes to go to the circus to see the elephants and is a cute little baby crinkle toy for a boy. He can be purchased here. 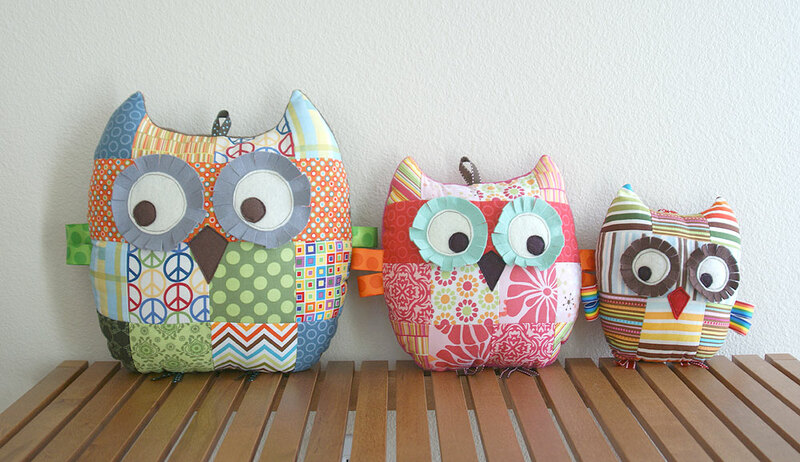 Otto is a little more serious than the other owls, but still lots of fun! He can be purchased here. 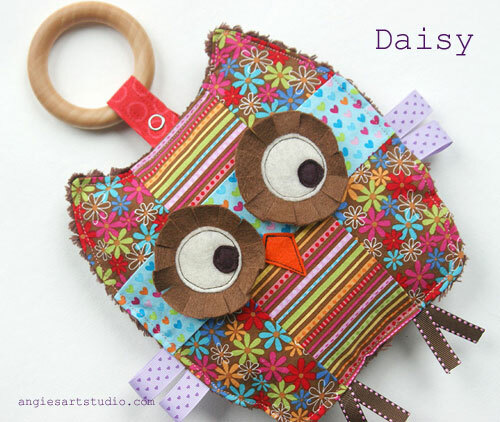 I have made a limited number of patchwork owl crinkle toys that have a detachable organic wood ring and stainless steel snaps. Great for teething babies and if you have concerns about BPA in the plastic teething rings. The wood ring is made from maple and hand rubbed with a mixture of organic beeswax and olive oil. These can be purchased here.